So you think cruise ships serve mediocre food? 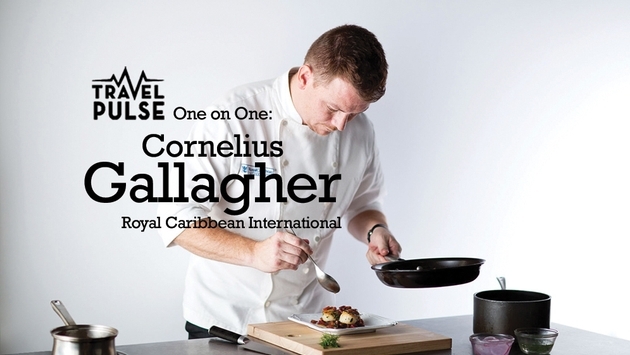 Think again: Royal Caribbean International’s director of food and beverage-culinary, Cornelius Gallagher, is a veteran of one of the most famous restaurants ever, the now-closed elBulli in Spain. He also has worked for several other three-Michelin-starred restaurants and was named one of Food & Wine’s Best New Chefs in 2003. Now the Bronx-born Gallagher is helping oversee the cruise line’s food and beverage experience, along with developing Wonderland, a restaurant using imaginative culinary techniques that will debut on the new Quantum of the Seas in November. Travel Pulse caught up with Gallagher for a quick five-question Q&A. TravelPulse: Why did a star chef like you decide to join a cruise line? Cornelius Gallagher: I’m no star, but thanks. I wanted to join a forward-thinking company that placed great value on food and beverage, which Royal absolutely does! TP: Some people think cruise lines offer a large quantity of food that’s not of very high quality. Is that a common misperception or is there some truth to that? CG: Absolutely, this is a perception that we are working to change. 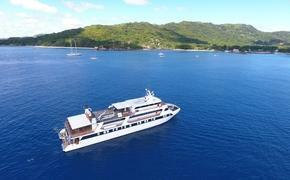 Our fleet is filled with certified executive chefs with fantastic global experience. Many have experience in Michelin-starred establishments. We bake all of our own bread onboard, source many of our produce items in local ports, have absolutely immaculate kitchens and are proud of our chef partnerships which include James Beard-award-winning Chef Michael Schwartz, Devin Alexander and, of course, celebrity chef Jamie Oliver. TP: You were named one of the Best New Chefs of 2003 by Food & Wine magazine while you were at Oceana in New York City. You also worked at several other three-Michelin-star restaurants, including Restaurant Daniel and Peacock Alley in New York and L’Espérance in Saint-Père-sous-Vézelay, France. And you had experience at what was widely considered to be the world’s best restaurant, the now-closed elBulli in Spain. What did you do and learn there? CG: I was a stagiaire (a French term for chefs temporarily working in a restaurant to learn) in the kitchen there. I was there at the same time as two great chefs, Grant Achatz (now renowned for Alinea and Next in Chicago) and René Redzepi (who operates Noma in Copenhagen, Denmark, considered one of the world’s best restaurants). Ferran Adrià (of elBulli) is, for me, one of the best chefs of all time. His out-of-the-box thinking and revolutionary approach to cooking technique has inspired legions of chefs worldwide, myself being one. TP: Is Wonderland on the new Quantum of the Seas going to be your showplace? What are some of the highlights using techniques often referred to as molecular gastronomy? CG: With Wonderland we want to bring the kitchen to the table, so there will be tableside finishes for the savory food as well as the cocktails. Yes, we will be doing things like smoking, liquid nitrogen, liquid olives, etc. It will be a fun experience that is entertaining, engaging and magical that is not at all serious or formal. TP: What do you hope to accomplish at Royal Caribbean? CG: I hope to continue to challenge myself and my team to provide an absolute WOW to our guests daily and to continue to infuse hospitality in everything we do! !